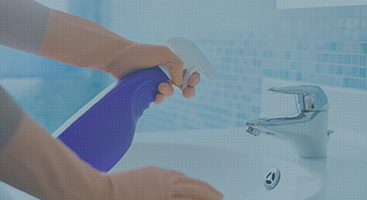 Cleaning Service FAQs - The Answers You Need Tn Boston, Somerville And Cambridge | Outstanding Cleaning Inc.
Based in Somerville, Massachusetts, we service much of the Greater Boston area. Please contact us by phone or email if you are unsure if your home is within our company’s reach. Some locations of current clients include: Arlington, Belmont, Boston, Cambridge, Chelsea, Chestnut Hill, Lynnfield, Marblehead, Medford, Newton, Reading, Somerville, Wakefield, Waltham, West Roxbury, and more. You provide the home, we will provide the tools to clean it! Of course, if you select the option for a load of laundry, please provide a washer and dryer. Yes. At the time of booking, we can discuss a number of extras including cleaning cabinets, inside the fridge, interior windows, walls, and even a load of laundry. For standard, recurring housekeeping we charge hourly per cleaner. For deep cleanings, it can run $50+ hour, per cleaner depending on the project. Minimum of two cleaners and two hours. How frequently can I have appointments? When booking, you can select a one-time cleaning, weekly, bi-weekly, or monthly cleaning services. First time cleaning? We recommend the deep clean option. For houses with built-up dust and dirt, our deep cleaning will leave your home looking shiny and new. For follow-up cleanings, our standard cleaning will do the trick. Trust us to keep your home clean and bright year-round. Can I pay online for services? Yes, easily and securely pay your invoice online HERE.